Why don't all young firms invest in R&D? 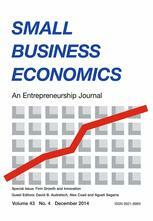 Process innovation strategy in SMEs, organizational innovation and performance: a misleading debate? Who become serial and portfolio entrepreneurs?